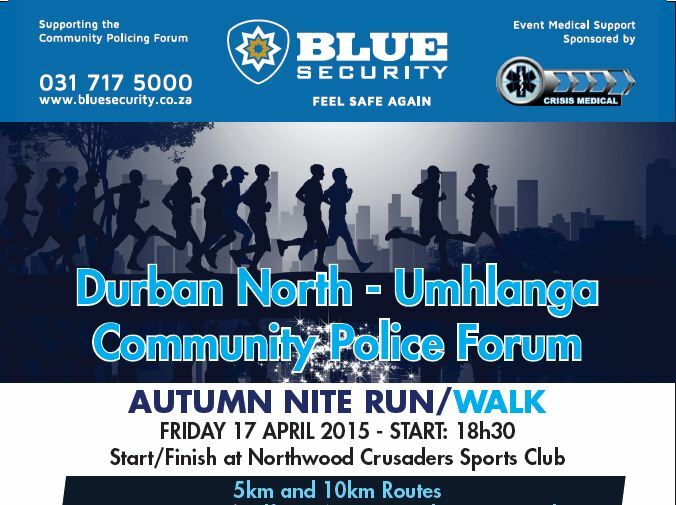 Join the Durban North and uMhlanga CPF for the Autumn night run/walk on Friday 17th April at 18h30 starting and finishing at the Northwood Crusaders Sports Club. All funds raised go to supporting the work the CPF does in keeping the community safe. Click on the CPF Nite Run Flyer for more details or enter at www.roag.co.za.